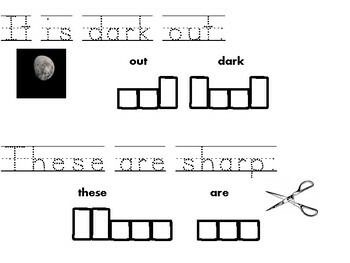 Students will read the sentence with a visual picture to support their reading. 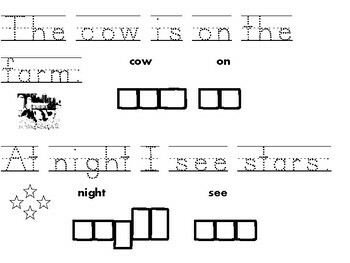 Then students will trace the sentence. 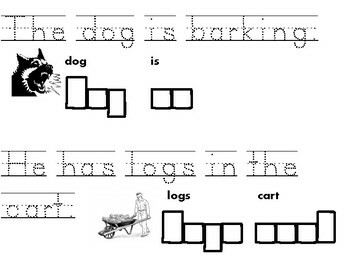 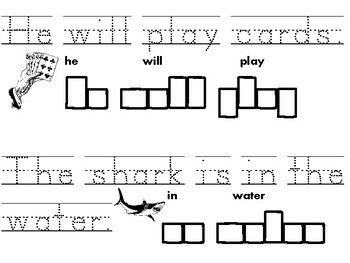 Next students will put focused words in shape boxes.